Rhonda grew up in Manhattan. 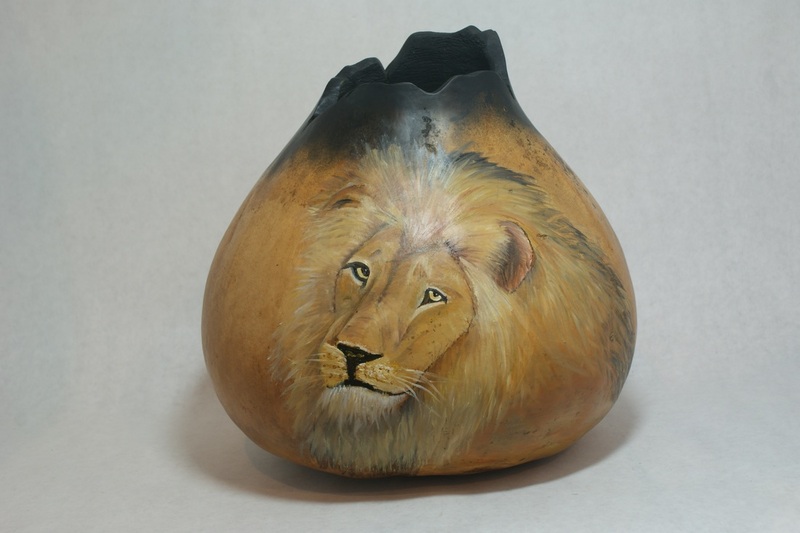 She taught middle school in Emporia for 15 years. 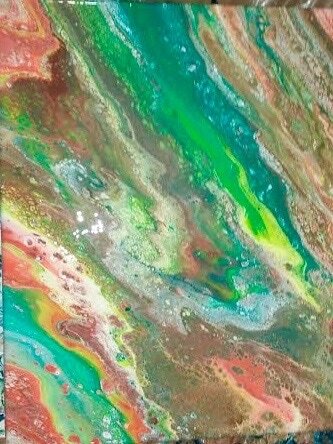 Then she and her husband Steve spent 7 years as full-time RV'rs traveling from TX to Alaska, where they spent their summers. 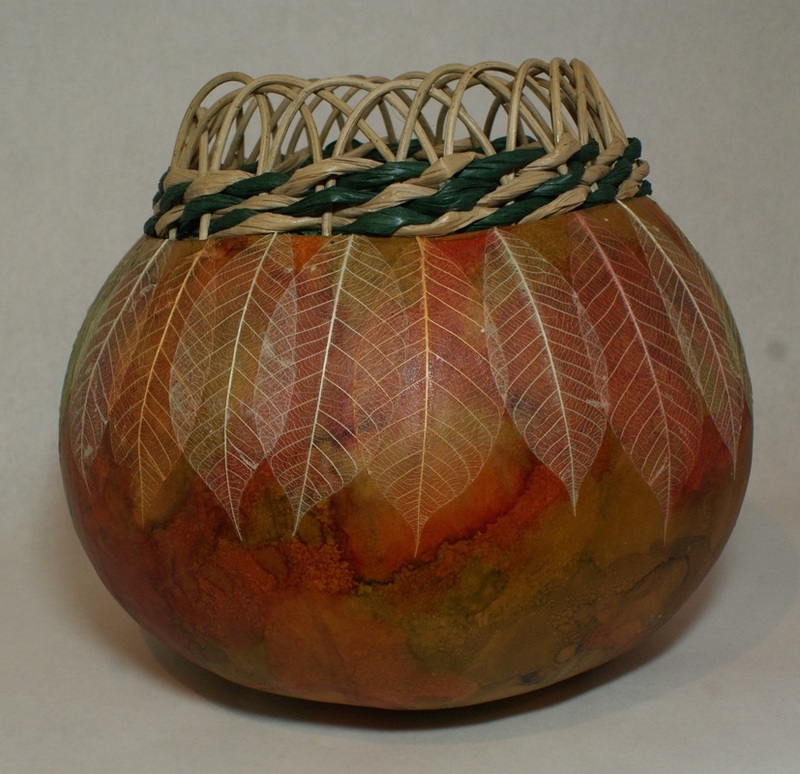 Rhonda’s interest in gourds began in 2008 when they settled down just north of Wamego. 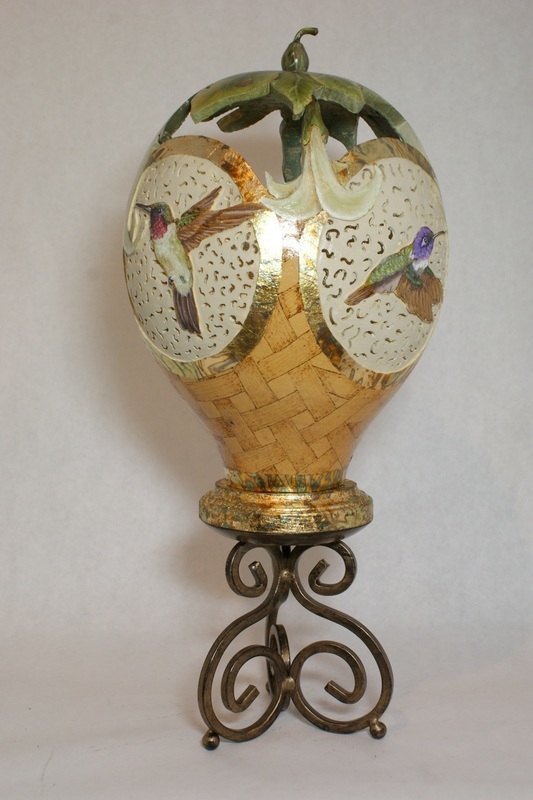 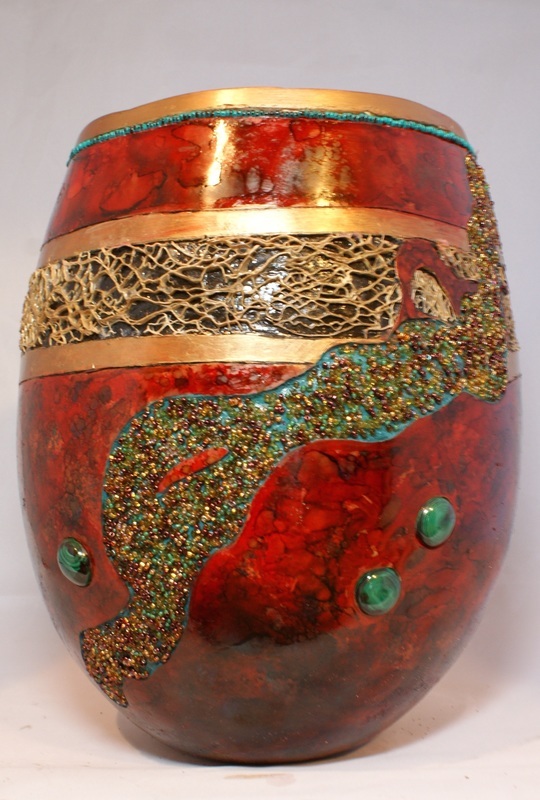 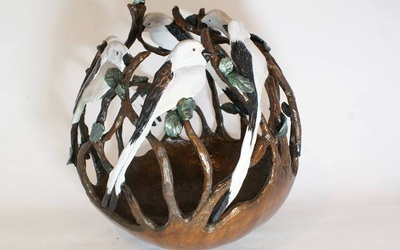 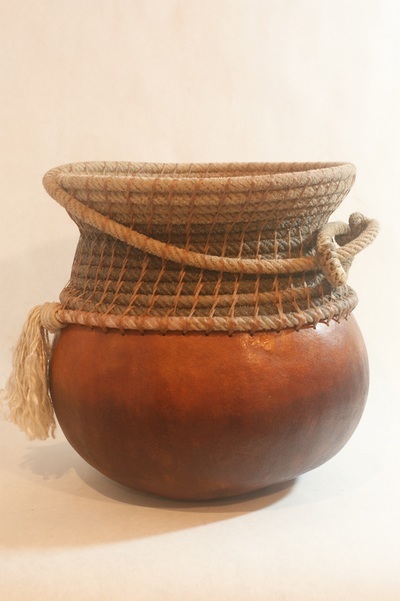 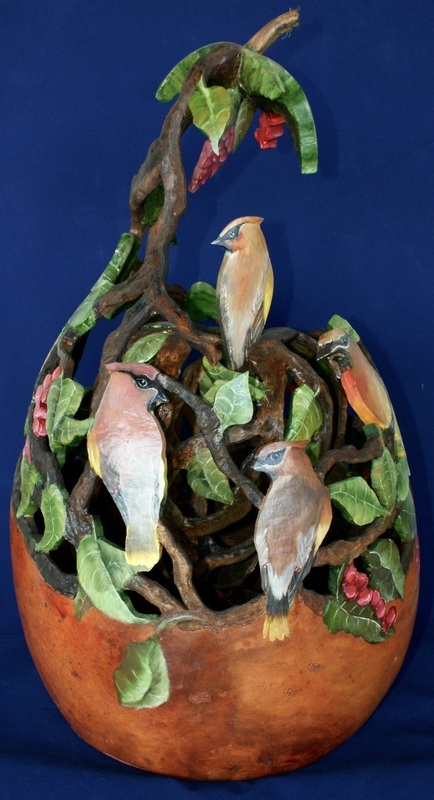 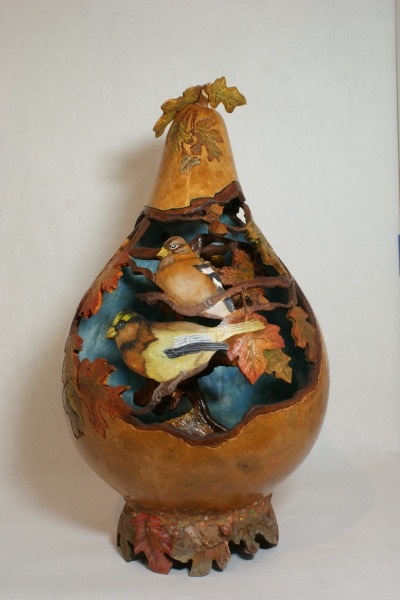 Her enjoyment of oil painting and crafting background can be seen in much of her gourd art. 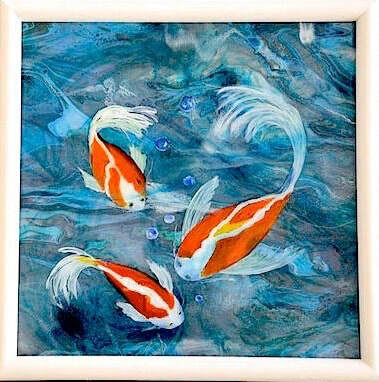 Recently she has enjoyed working with acrylic paints, resins, inks, and other mediums to create flowing abstract paintings. 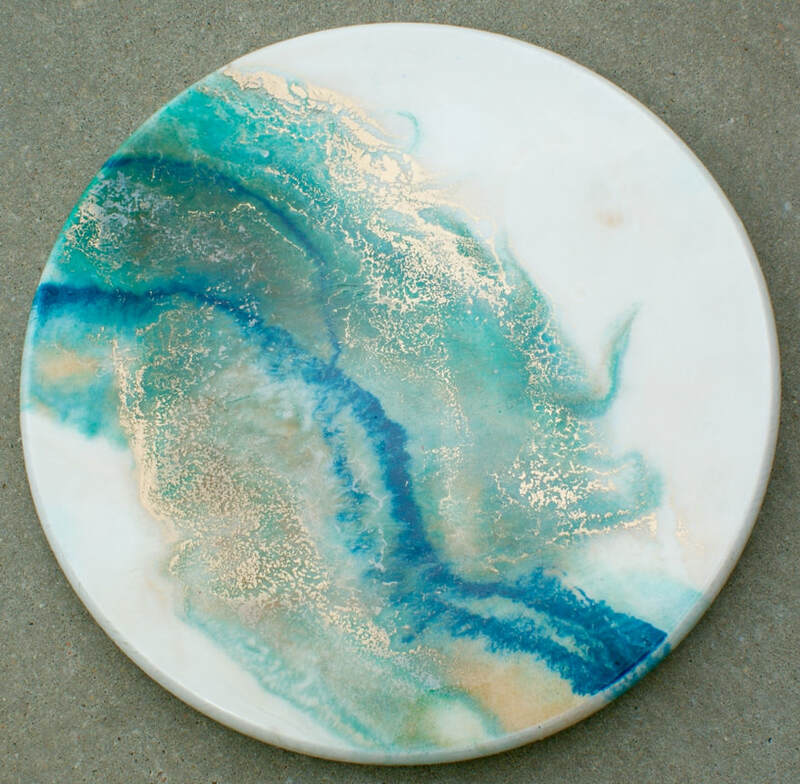 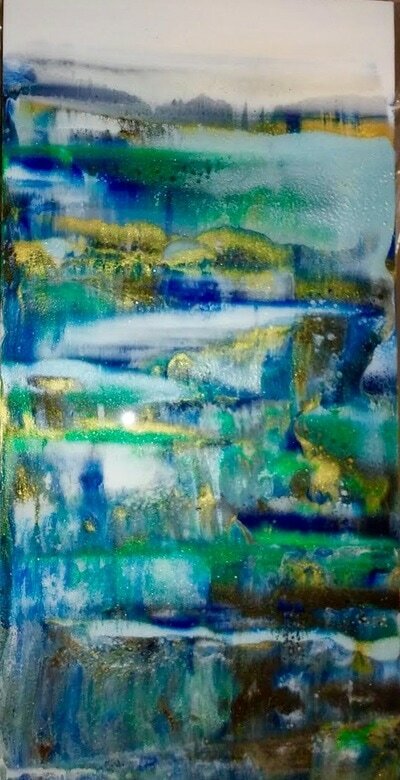 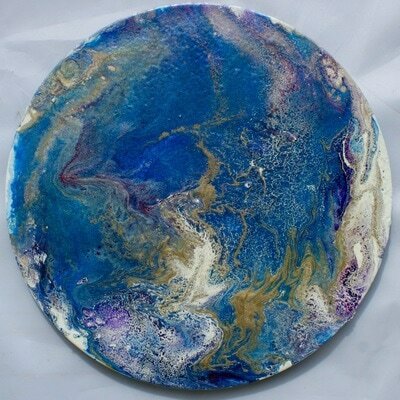 Using various substrates and many different techniques to flow the acrylics and resins, she creates beautiful abstracts. 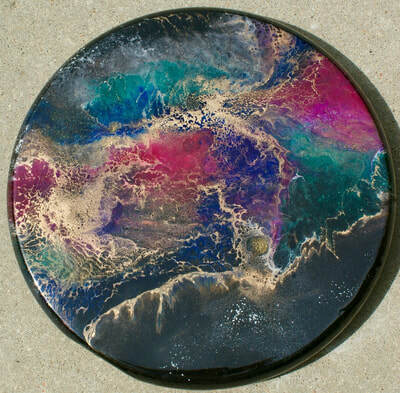 Rhonda will do custom work in sizes, colors and general compositions for anyone who has a special desire or need. Rhonda is a member of the American Gourd Society, the Show Me Gourd Society of MO, and one of the organizers of the Kansas Sunflower Gourd Artist group. Rhonda has won numerous awards and recognition from MO, AZ and TX gourd shows. 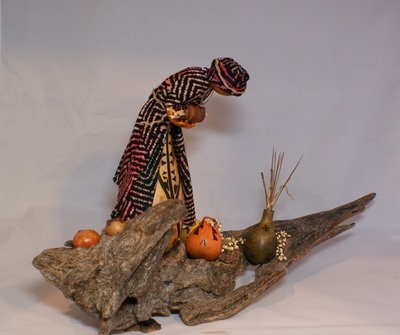 Her gourds can be found at the Swogger Art Gallery at the Columbian Theatre in Wamego, and MAC (Manhattan Art Center) during the Wrap It Up Christmas sale.